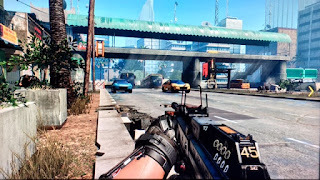 Call Of Duty : Advanced Warfare is a first person shooter that was published by Activision on November 4th 2014 for the Xbox 360 and Xbox One, PlayStation 3 and 4, and for Windows PC. This is publisher Sledgehammer Games first Call Of Duty and they made the PC, Xbox One and PlayStation 4 version and High Moon Studios developed the Xbox 360 and PlayStation 3 version. I played the Xbox One version of this game. In the solo campaign you play Jack Mitchell a member of the US Marine Corp. The game is set about 50 years in the future and your squad is in South Korea fighting the North Koreans. 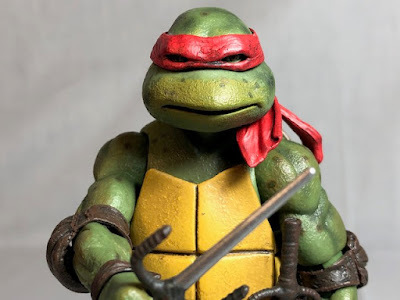 You sustain an major injury which costs you your left arm and you friend is killed. 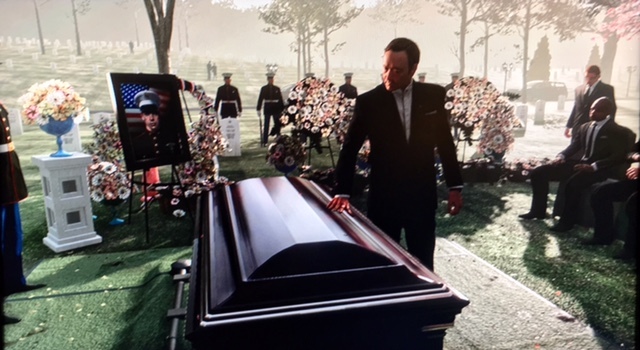 The game cuts to one of the more infamous scenes in video games when it has you at your friends funeral and prompts you to "Press X To Pay Respects". After the military kicks you out because of your injury Jonathan Irons, Kevin Spacey's character, asks you to join his company who give you a robotic arm and you are able to work for his company Atlas. 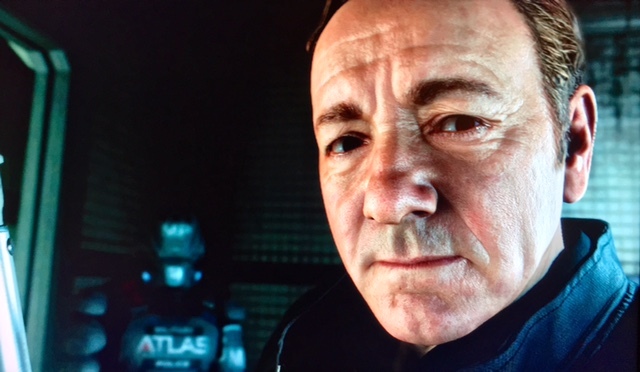 Your job is to stop a crazy terrorist and each mission you learn that somethings not right at Atlas. The story isn't terrible, I had a good time playing the game and at about 8 hours to complete the campaign it was just about right although I wouldn't have mind if the game was longer. 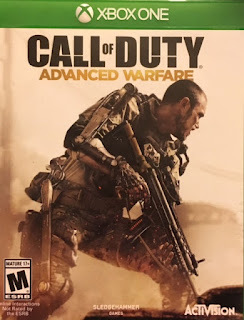 Advanced Warfare is nothing new for the Call Of Duty titles, first person shooting with the occasional mission with you piloting some kind of craft. As the game is 50 years into the future there are different gear that you get to use with the biggest being your EXO Suit. Your EXO suit allows you to jump higher than a human to reach high places and gives you enough strength to rip doors off of cars. You also have different abilities at your disposal including Overtime, which is bullet time, and Cloak. The game also has Intel for you to find through out the levels. It does nothing in game and is just a way to get a little extra time out of the single player campaign if you want to collect it. Some guns have a target enhancement sight that allows you to easily pick out enemies. This was my favorite sight and always took it, even if it was on a gun that I didn't like. Call Of Duty has released many games over the years so the decided to set this game in the future enough where a lot of current technology can be used but also some futuristic tech as well. It seems that the plot of these games are pretty similar to the game before so what makes each game unique is where the levels take place. I enjoyed a lot of the levels in this game which included dodging traffic on a highway like Frogger or having a car chase and a firefight on the Golden Gate Bridge. I also really liked the aircraft carrier level. 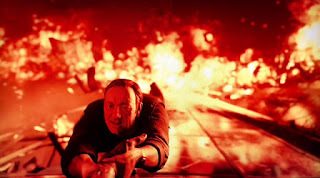 Since the games themselves can't be too over the top in order to keep the game believable it's good that they introduce many cool levels to play in although I think we've done enough of future wars and could use a new Call Of Duty set during World War 2, Vietnam or even World War 1. Without a doubt this game looks great. Kevin Spacey's nearly looks real. I don't think the average person would be able to tell that he's computer generated. All the people in this game looked great as did the terrain. The strangest thing was that I came across two characters that were identical in the same room. Either Atlas hires a lot of twins or someone messed up. What most people play Call Of Duty for is the multiplayer and Advanced Warfare doesn't disappoint. 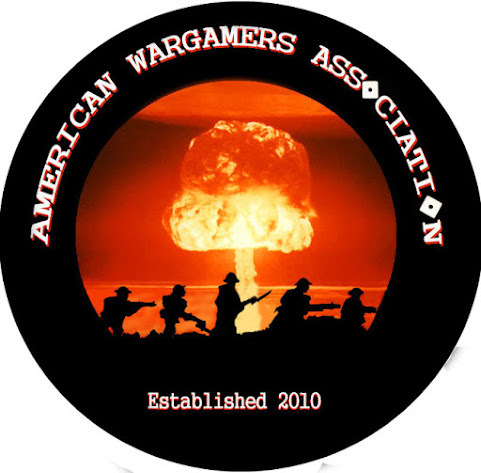 It has the basic multiplayer modes like Free For All and Team Deathmatch. It also has two modes called EXO Survival and EXO Zombies. EXO Survival is a cooperative gave versus waves of bad guys. You can play with up to four players, yourself and three others, but you cannot play alone. You can play split screen or with someone online. 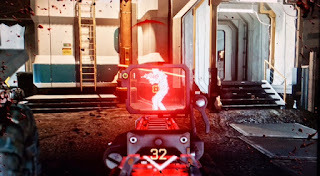 EXO Zombies is like other Call Of Duty zombie games, wave after wave of zombies which each wave having more zombies than the last. 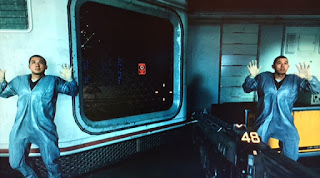 EXO Zombies doesn't come with the basic game like it use to. Now you have to buy it as part of a DLC pack. New maps I don't have an issue with paying for but the game should at least deliver all game modes without having you to pay more. 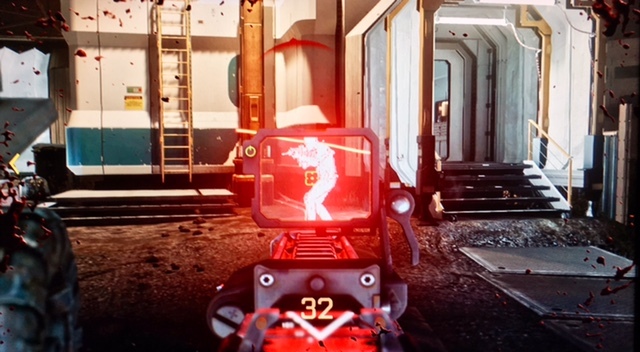 I guess I understand having to pay for EXO Zombies because they need to play the talent for it. Zombies mode has five big celebrities including Rose McGowan, Bruce Campbell, Jon Bernthal, John Malkovich and Bill Paxton. Call Of Duty Advanced Warfare is another great addition to the Call Of Duty library. If you like first person shooters than you've probably already played it. For those who haven't and are interested in diving in this one is a great one to start with. I give Call Of Duty Advance Warfare a 9 out of 10.